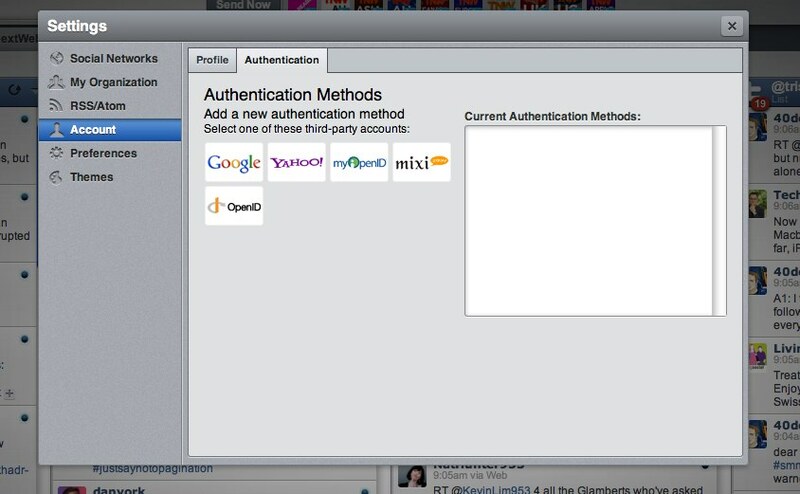 via HootSuite blog – Social Media Dashboard » Just Hatched ~ Connect to HootSuite with OpenID Providers. Simply put, OpenID lets you use one login (and the associated information) for more than one service. My service of choice is Google, but HootSuite supports several other OpenID providers. OpenID is the latest nice bit of tech that HootSuite is feathering their nest with, though I’m still waiting for the iPad app to be approved.